I took a Legal Secretary Course in London, last month. I passed and was feeling quite confident about my ability to do a job. Now I was ready to pursue my career as a Legal Secretary, after years of Administration work. However, my phobia of job interviews bared its ugly head, when I started looking for jobs. I become very nervous of job interviews, but it was all the worse now that I had not sat an interview in years. I spoke with some friends and then turned to my legal secretary tutor. 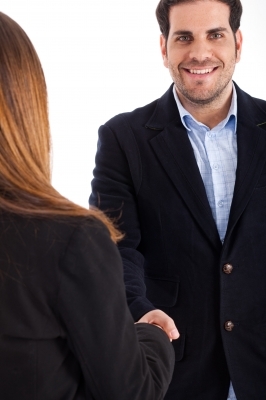 She explained some methods that I could use to overcome my nerves and succeed in an interview. This really helped me, so I would like to share these thoughts with everyone. Prepare answers for likely questions. I was given a few common questions and then search more on the internet. I wrote out my answers and learnt them. I then practiced the interview with my friends. Focus on likely opening questions. A common opener is: ‘tell me about why you are applying for this role’. If you can get through this opener, your nerves are likely to settle. Don’t place too much pressure on yourself. All too often we become obsessed about the situation we are in. We believe that it is the end of the world, if we fail to get the job. However, this is generally not the case. Try to keep relaxed and not put too much pressure on yourself. Keep breathing at a steady rate. This will help to relax you; taking faster breaths will increase your nervousness. 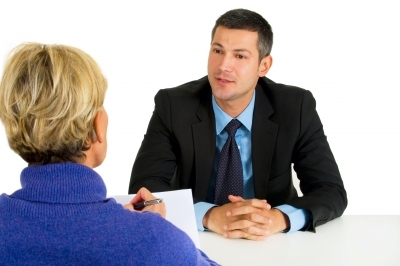 Try to think positively about the interview all the time. Things can go wrong in an interview, but they are often worse in your mind than that of the interviewer. Physical exercise. This helps keep oxygen and blood flowing in your body. If you can afford the time, take up more exercise. On the day of the interview, getting a little exercise could be beneficial. The exercise will burn off excess adrenaline and get the oxygen flowing in your blood, to ease the nervous feeling that is naturally occurring in your body. Try to maintain your body language. Sit comfortably and ensure that you send out positive body language. This gives of a good impression and will help you to relax.